Is there an extreme cold front heading your way in an hour? A snowfall warning? 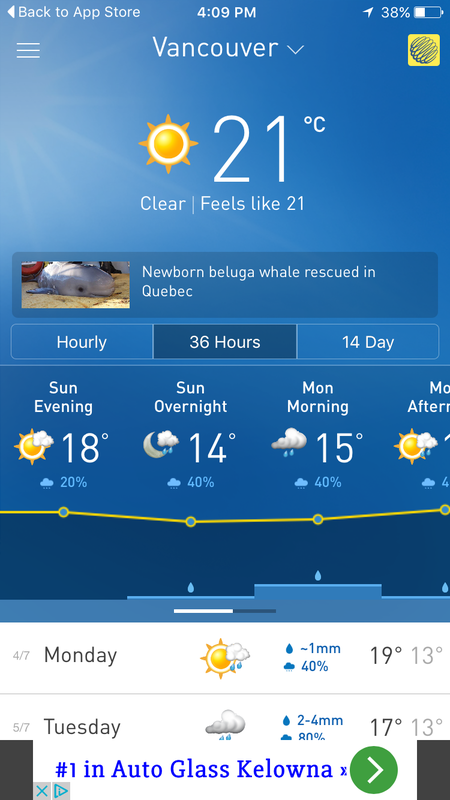 Thanks to the ingenuity of weather apps, you don’t have to be surprised by the weather anymore. Managers can get alerts for a range of valuable notifications particularly helpful for the winter season, including temperature swings, cold alerts and snow. Plus, you can customize notifications like the cold alerts so the app notifies your phone when it feels below -10 C, -20 C or -30 C for all you special folks in the Prairies. And, if you’re part of a multi-unit organization, you’ve also got the option to ‘follow’ and set notifications for multiple cities across North America. 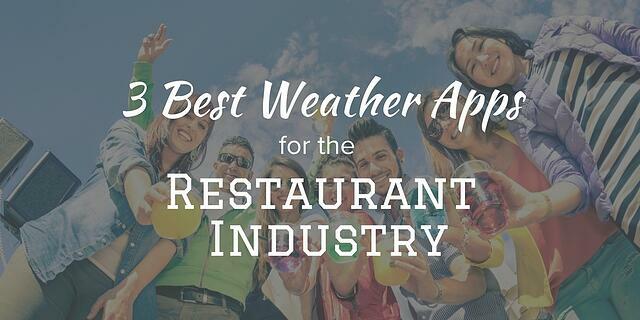 Learn more about the differences between some of the top weather apps in our post 3 Best Weather Apps for the Restaurant Industry. So you got four feet of snow overnight and it’s now Sunday morning and the plows are already three days behind…Now what? How slow is your restaurant going to be for brunch today, and how are you going to adjust the schedule and tell staff about any changes? 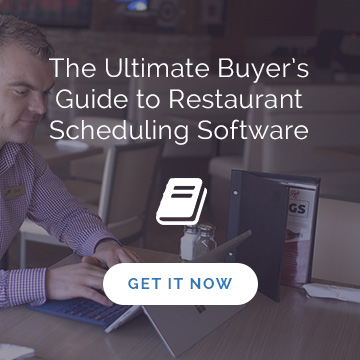 If you’re working with restaurant scheduling software that incorporates an email and text notification system so you can instantly communicate to the right people, move on to #3. Make sure your staff contact list is up to date and accessible. Make sure you have a hard copy handy in case there are any power outages, and an electronic copy for easy searching. Consider the ‘telephone tree.’ You call Joe and tell him you don’t need him to come in, or to come in earlier to help with the shovelling! Give him the number for Megan and Jeff, and ask him to call them with the same message. Before you make those calls, though, hopefully you’ve got month-over-month and even hour-over-hour sales data you can use to inform those calls. Finding out what your meal count was during a snowstorm last February could show you exactly which times of day were surprisingly busy or slow. Ameego, for example, integrates with POS and can drill down to this level to inform scheduling! It’s one of those services restaurant management teams talk about and talk about, and manage to trudge through winter doing it on their own year after year, but we promise, you will never regret outsourcing snow removal—not only because clear access means business, it also relieves you of worries about lawsuits. Make sure you know a guy. Make sure the terms are clear. How soon after a snowfall or snowstorm will they have someone one site? What are their rates (monthly or per visit)? If you and another restaurant share a street and/or parking lot, it might be worth walking over to your neighbour and asking if they want to go in on the service to save a bit of cash. Before you hire your snow guy, be sure to get a couple of references from some of their commercial customers. 4. Make it fun. Make it social. Make it sell. Snow days don’t have to be bad days. Quite the opposite. Since you’re completely prepared for oncoming storms, you can be not just open for business, but turning that dump or chill into a business opportunity to get more bottoms on those chairs, so to speak. Share pics of you and your team sweeping off the frost and snow to show your followers you are definitely open, and pumped about it! Do a wintry-inspired special. Steak and Guinness pie for the -40 C weekend? Happy hour hot totties? Take a shot, share it, and wait for the orders to roll off the line. Bring back the ugly sweaters. We mentioned having an ugly sweater day for staff in our post 3 Ways to Boost Your Restaurant Sales this Winter, but maybe it’s time to bring them back—and not just for you, but also for customers. Use social to challenge customers to spread the warmth on this blistery day with their best/worst ugly sweater, share photos of their table on social, and create a bit of a contest around it. Now that you’ve got a winter weather plan and you’ve got your people easily at the ready, let it snow!